Over the first few years of the implementation of the Affordable Care Act, we have called for sustained attention on controlling business healthcare costs as a part of health reform. We are pleased that there has been an effort to achieve more cost-effective use of medical personnel and expanded use of wellness incentives. The possible repeal of the Affordable Care Act mean that significant policy reforms may be necessary and that could affect the California market. We think healthcare is a right and look forward to working with the state on continuing to cover everyone, helping the care providers deliver excellent cost-effective care and lower costs for business. Delivery of healthcare services is challenging, especially given the uncertainties at the Federal level. We seek to influence policies and programs that improve health outcomes and reduce overall healthcare costs for employers and employees in the North Bay. Specifically, we want to promote systemic reform that will increase efficiency, decrease the overall cost of health care, promote innovation in treatment and care, as well as promote wellness and prevention to reduce long-term costs and increase employee productivity. We wish to work diligently with state and federal policy makers to ensure that the needs and sensitivities ­businesses face are considered as Federal Health Care Reform is implemented at the state level. SB 647 (Pan) would restore the Legislature’s intent in enacting the Providers’ Bill of Rights by clarifying that a third party seeking the benefit of a contract between a health plan and a provider must also accept the obligations that are part of that contract. AB 387 (Thurmond) would require health care entities to pay allied health students minimum wage for time spent in clinical or experiential training required for state licensure. This would put allied health training programs at risk of closure. The programs, many of which are offered by California’s community colleges, would not be able to meet accreditation requirements without sufficient clinical training placements. A decrease in the number of training programs and an evaporation of scarce clinical training slots would exacerbate allied health care workforce shortages. 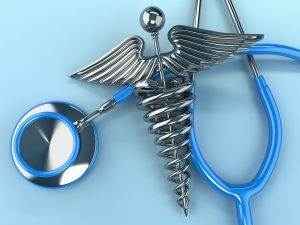 SB 687 (Skinner) would require a nonprofit hospital to notify and seek approval from the attorney general prior to reducing services or closing an emergency department (ED). Hospitals would be required to provide a written notice to the attorney general no later than 90 days prior to a planned reduction in the level of emergency services or an elimination of those services. Proposition 56 funding should be used for reimbursement rate increases for physicians and other providers. GME funding to the Song-Brown Program should be restored to ensure there are enough primary care physicians to treat Medi-Cal patients. 340B program changes should be eliminated or delayed at least one year to allow hospitals time to implement the necessary operational changes.